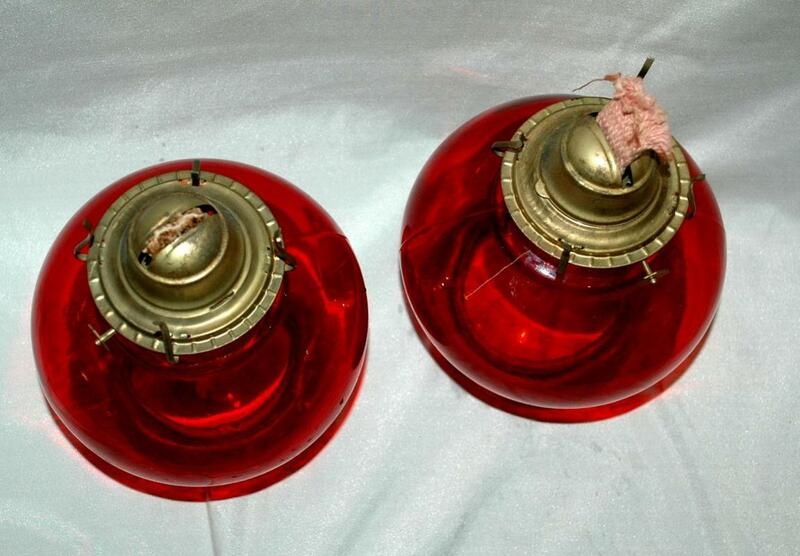 Matching pair of 2 P&A Risdon Danbury Ruby Red Glass Oil Lamps, Bases the burner and wicks. 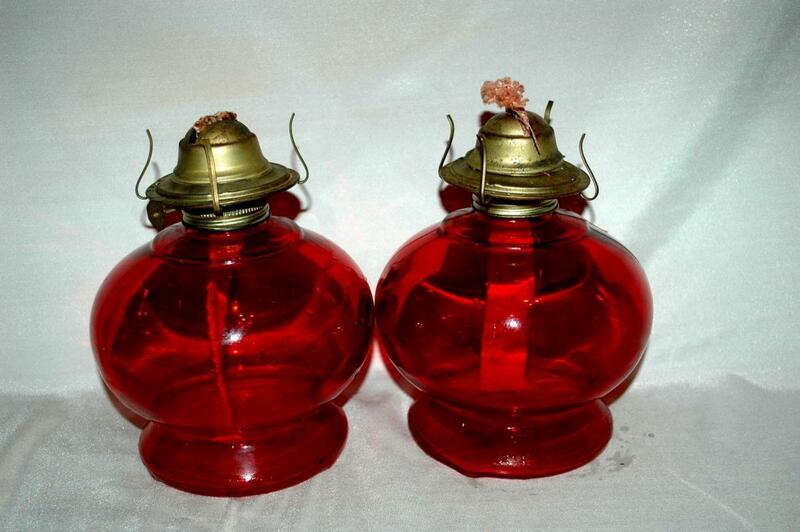 The are about 8.5" tall and 6.25" across. They are footed. 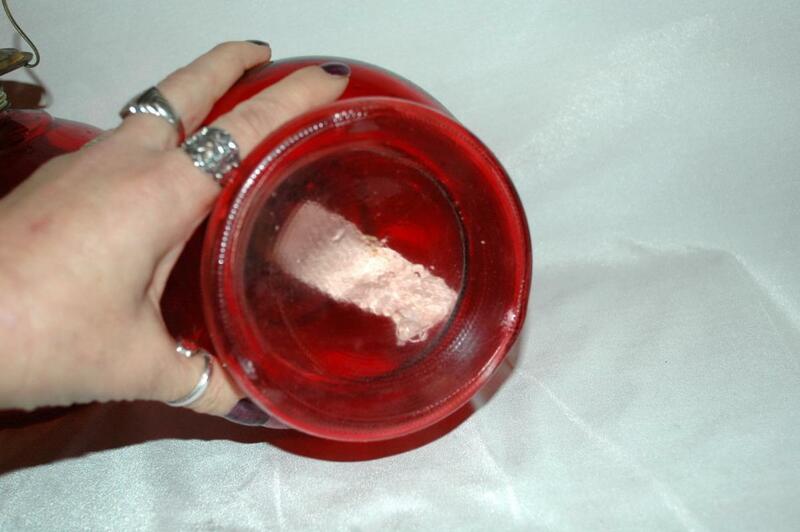 The condition is excellent on both. 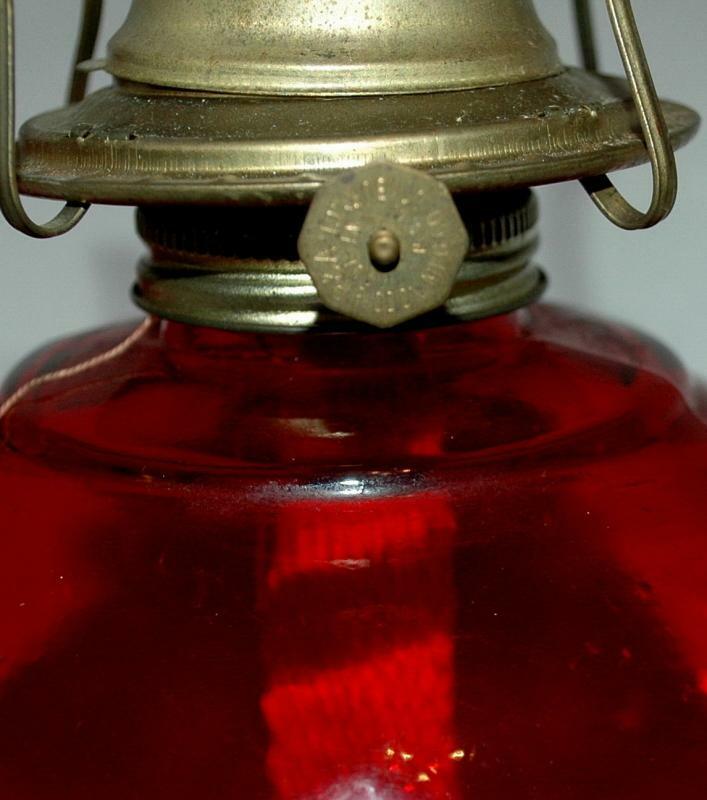 They don't have the chimneys however they are easily available in stores and on the internet for very cheap. If I find two matching chimneys I will re-do the listing. 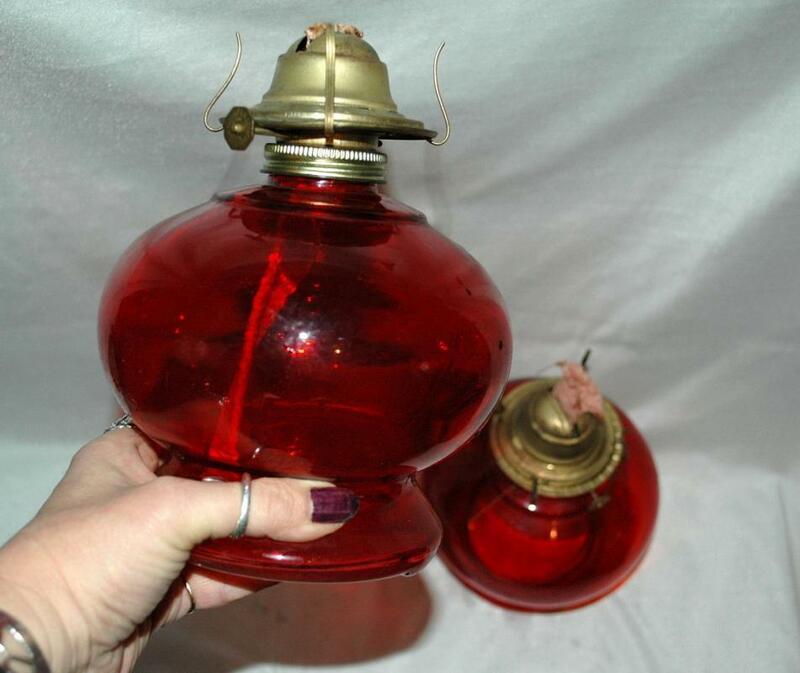 Items Similar To "2 P&A Risdon Ruby Red Glass Oil Lamps Mid Century "